Well let's build it up again! 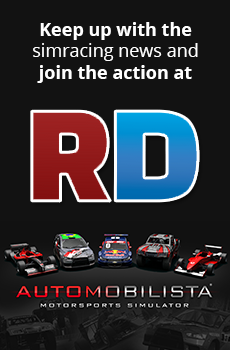 Is there any update to the release date for the Reiza rf2 DLC? I think no... I'm afraid they cancelled the project or something like, because they said 3 weeks to finish... months past and not even a word about it! The people hyped with the content (at least some next to me) is loosing interest/hype/expectations in the pack, so, this delay may compromise the selling of the pack. Studio 397 announced the pack would be out: early 2019. For me, that could include march as well. And I understand your frustration, I come here every day to see if there are any news about next dlc or rf2 pack. But once it's out, I have no doubt it will sell. I'm personally more worried about this delay because I'd like to see more content converted to rfactor2 and at this rate it doesn't seem very likely. I dont think it is wise to make accusations that it is canceled without evidence. If there is no update then there is no update, but that doesn't mean it has been canceled. Sorry it´s taking so long folks. We´re working on implementing S397´s new car shaders now, once that´s done it should be ready for release finally. AMS cars in full glory of PBR. No accusations mate... I said I'm afraid... not that it happens. Afraid because it's a thing I am waiting. Understand? Maybe another word express better this, but it may be a problem with a non-native language. Boring , Man i hope this ain't the case ! rF2 with the improvements Reiza did... if they can share that with S397... better yet... an option to buy "AMS 2" as part of rF2 (like this DLC) so we could use its tracks with S397 content. That would be perfect. To be honest I would like to see the 2 Sims merge...AMS cars and tracks in rF2 looks damn awesome and are so fps friendly that I can run a full grid with max settings at 120 Fps (same settings with S397 content runs at 70-50 fps). Cars and also tracks, right?